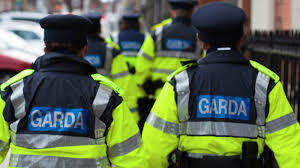 Kildare South Fine Gael TD Martin Heydon has welcomed confirmation of the allocation of an additional Garda to the Kilcullen station following a recent review of resources. Garda Jonathan Brien will start in Kilcullen on October 9th. He will join Sergeant Mary Mulroe, Garda Joanne O Sullivan and Garda Jim Lacy. “I continue to liaise with Minister for Justice Charlie Flanagan and senior Gardai to ensure that the Kildare South area gets its fair share of Garda resources. As I lobbied for additional Garda resources for the county, I have also argued that these additional resources needed to feed down to stations like Kilcullen to provide additional cover for the area which includes Ballymore Eustace. “The Government’s response to crime, and to burglaries in particular, has focussed on two key objectives: investing in the capacity of An Garda Síochána to tackle criminals and enforce the law effectively; and updating and strengthening the law where necessary.